Because fish bowls, vases and other small containers are not a good home for fish, you may have a few lying around being used as a candy bowl or decorative piece. If you’re looking for something new and aquarium-related to try, setting up a planted aquarium bowl may be a good idea! The lush green plants (and possibly snails or dwarf shrimp) make a great centerpiece. Keep reading for everything you need to know about turning a bowl, vase or tiny tank into aquarium plant heaven! Note: if you found this article while looking for plant ideas for a goldfish or betta bowl, please have a look at why goldfish bowls should be banned and why betta bowls are bad. What is a planted aquarium bowl? Although some gardeners choose to add a small sponge filter, a plant bowl is a small, usually unfiltered, unheated and very densely planted version of an aquarium. A planted bowl doesn’t contain any fish and is more of a little indoor garden than a fish tank. They are simple and don’t require as much maintance as a real aquarium, which makes them great for both fishkeepers and people who are more interested in regular gardening. You don’t actually have to use a bowl; this post contains more information about a planted beverage dispenser, so think out of the box! The plants in a planted bowl or vase act as a natural filter and if you keep live shrimp or snails they will keep each other in balance. 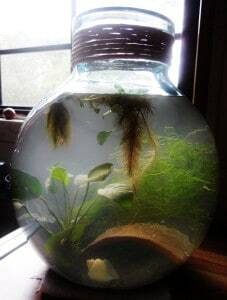 This is called the Walstad method after Diana Walstad, who wrote a much more extensive book about this called Ecology of the Planted Aquarium. It contains more in depth information about how a balance is achieved and is a very interesting read for any fishkeeper! What do I need to set up a planted aquarium bowl? Setting up your own planted aquarium bowl is not too difficult nor expensive! In fact, you may have all the materials you need already lying around. A container of at least 1 gallon. If you don’t want to support manufacturers of fish bowls, you can get a large vase or jar like this cookie jar. Substrate. You’re growing plants, so getting a good substrate is very important. A layer of potting soil sealed with a smaller layer or pool filter or play sand should work fine. You can also use root tabs, especially when the potting soil loses its effectiveness. Lighting. Most aquarists choose to keep easy, low maintenance plants in their plant bowls. This means you don’t need expensive aquarium lights; a normal desk lamp should work just fine. I have this Ikea lamp which would work well. Plants. Easy ones work best! You can find a list of easy aquarium plants on Aquariadise here. Invertebrates (optional). Although a non-filtered bowl is way too small to sustain any fish, you still have some options when it comes to live animals. A small group of dwarf shrimp (a cherry shrimp caresheet can be found here!) or a few nerite snails make a great choice because of their low bioload and effectiveness at eating algae. Once you’ve collected all your materials, it’s time to set up your plant bowl! Start off with your substrate. I like to plant my plants before adding water, but that’s up to you – just be careful not to disturb your substrate layers when pouring in the water. After this, you can turn on the light (and attach it to a timer on a ~12 hour cycle if you’d like) and you’re done for now! After a few weeks or months, when the bowl is established, you can introduce your shrimp or snails. A planted bowl is very low maintenance and doesn’t require much care besides weekly small water changes. If you just have plants in yours, you may have to occasionally trim them or add the occasional root tab every few months. If you’re also keeping inverts, regularly toss in a few bits of food and make sure everything is either eaten or removed within a few hours to prevent ammonia spikes. And that’s it! You can make your planted bowl as complicated as you want, but the basics are very simple. If you have any more questions about setting up and maintaining your planted aquarium bowl or if you want to share your experiences, leave a comment below. Happy fishkeeping! 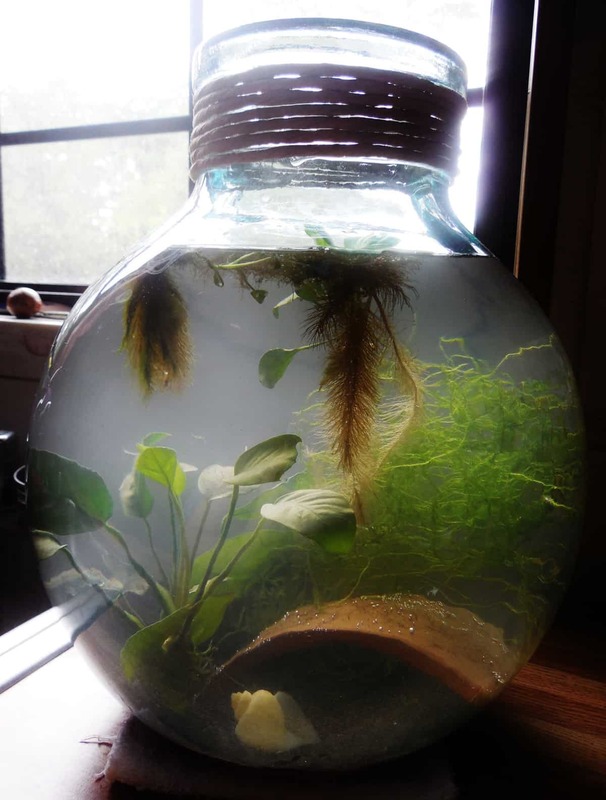 Hi, I’m so inspired with this blog that I want to set up a planted fish bowl, and the bowl I have, holds around 15-16liters(a12inch aquarium bowl ). How much substrate would I need and what type of plants would you suggest. I have 2 pairs of neon tetra, a pair of blue shrimps and a spotted snail which I’m planning to introduce to my bowl. I’m glad you liked this article. First off, as discussed in the text, NO FISH in your planted bowl please. 15-16 liters is wayyyy too small for neon tetra, they need an aquarium of at least around 60 liters. The shrimp and snail should be fine. As for substrate, that’s entirely up to you – a 2-3cm layer should probably do. Plant-wise, it depends on what kind of lighting you’re using. Assuming this is going to be a low-tech thing, the article on 8 easy aquarium plants might be helpful. I’m considering setting up a small planted bowl like this in a vase of about 2.5 litres (a bit less than a gallon I think?). Do you think it would be possible/advisable to include a few cherry shrimp in a bowl of this size? I’m also concerned that, as the vase is reasonably tall and narrow, there is not a very large amount of ‘floor space’. Do shrimp climb on plants a lot, or will they mostly stick to the ground? I’ve never kept shrimp before, so please pardon the possibly silly question! Hello! 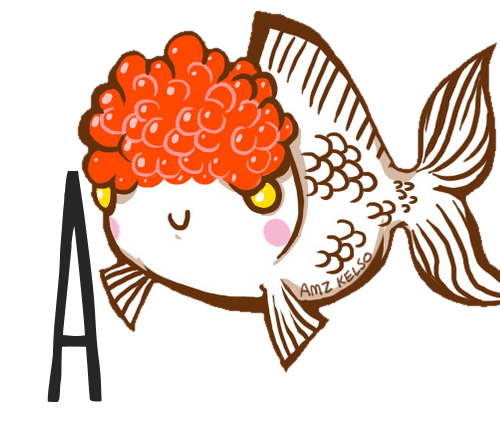 I just want to say I love your blog, and I was just wondering if you could use regular old aquarium gravel on top instead of sand? Glad you like it! 😀 I guess you could, but the potting soil is really beneficial for plant growth. I’ve never tried anything else! Oops, sorry! Yeah that’s a good option as long as you use normal fine gravel. I personally prefer sand, but it’s not a must! Ok thanks I just think if I do convince my mom to let me do this then I don’t think it would help for me to have to buy a big thing of sand. I do wish I had put sand in my main aquarium instead, but the platys don’t seem to mind.